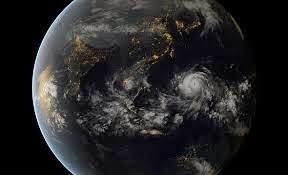 A massive typhoon with winds over 200 mph has hit the Philippines causing extensive damage and loss of life. Thousands are either dead or missing. This typhoon is probably the worst to hit the region in decades and its effects will last a long time. Let us keep our Filipino brothers and sisters in our thoughts and prayers while also helping them return to normalcy. Please do not donate to me, but to the appropriate links below. Globe users can donate to #YolandaPH victims thru @PhilRedCross. Text RED <amt> to 2899. Denoms. in 5, 25, 50, 100, 300, 500 and 1000.